Interest rate hike, house price crash: what consequences for Swiss households? Interest rates hike and more : what are the consequences for Swiss households? 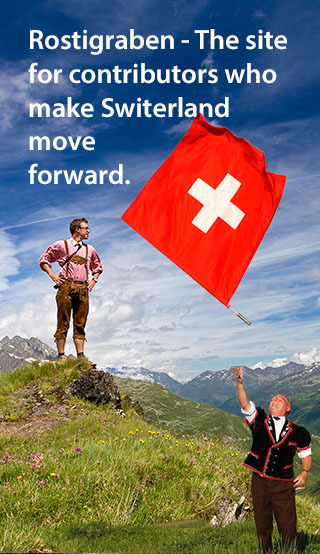 The Swiss housing market has been growing very rapidly in the recent years. Increasing incomes and immigration have inflated demand, driving prices up. 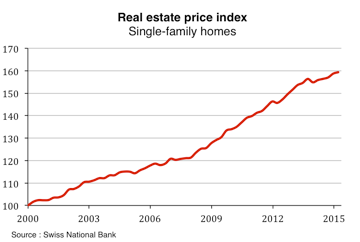 The price index for single-family homes has increased by 59% since 2000. Moreover, the actual context of low interest rates offers to more households the opportunity of borrowing to buy a house. The interest rate for a 10-year loan is below 2%, a historically low level. To avoid the formation of a housing bubble, the Swiss National Bank and the federal government has intervened several times to prevent excessive growth in house prices. Since 2012, borrowers must possess more equity to contract a mortgage. In February 2013, the federal government activated the countercyclical capital buffer, constraining banks to hold more equity in their balance sheets. These measures are tools to avoid an excessive development of the housing market. The burst of a housing bubble in Switzerland would compromise the country’s financial stability, many households would go bankrupt and therefore banks would be highly impacted. A recent study, published by the Professor Martin Brown and the PhD student Benjamin Guin in the Swiss Journal of Economics and Statistics, investigates the exposure of mortgage borrowers to interest rate risk and house price risk. The researchers from the University of St-Gallen try to analyze the potential consequences of an interest rate hike and of a housing prices decline on mortgage borrowers. Their data covers a random sample of 325 mortgage applications at an independent mortgage broker in Zurich. These applications come from households whishing to finance an owner-occupied home between September 2012 and January 2014. In a first time, the authors analyse the consequences of an increase in interest rates to their historical average of 5%. Their estimations suggest that, in such a scenario, between 25% and 33% households in their sample would face payments exceeding a third of their income, therefore increasing the probability of a default. However, a significant share of these households holds a long-tem fixed-rate mortgage. Thus, they would not be directly affected. • The aggregate consequences of a short-term interest rate hike are therefore limited. The economists also investigate the exposition of households to a 20% decline in house prices. For 26% of them, such a shock would imply a loan to value ratio of more than 80%. Therefore, the holders of a variable interest loan would face difficulties at expiration. However, if the shock is only temporary, the housing market may have fully recovered before they have to refinance their mortgage. Thus, a short-run decline in house prices, even of 20%, would not have a direct impact on long-term contract holders. • The aggregate consequences of a short-term house price crash are therefore limited. These results suggest that the two shocks, if they were temporary, would not really affect mortgage borrowers at the aggregate level. • However, a prolonged correction of house prices or a long-term hike of the interest rate could drive a substantial number of households into default. Finally, the two researchers analyse the behaviour of mortgage applicants. The interest rates being at their historical low level, households whishing to protect themselves against a hike would choose a long-term fixed-rate contract. Surprisingly, the results of this study suggest that the choice of type of contract is not driven by an anticipation of higher interest rates. Households don’t really care about this risk. Only risk-averse households located in high real estate prices regions tend to choose long-term fixed-rate contracts. Globally, the choice of type of contract is mostly driven by financial and personal reasons, rather than by risk-aversion. • Brown, M., & Guin, B. (2015).Individual Mortgage Choice and Aggregate Mortgage Risk: Evidence from Switzerland : Evidence from Switzerland. Swiss Journal of Economics and Statistics, 2015(2), 1-20.